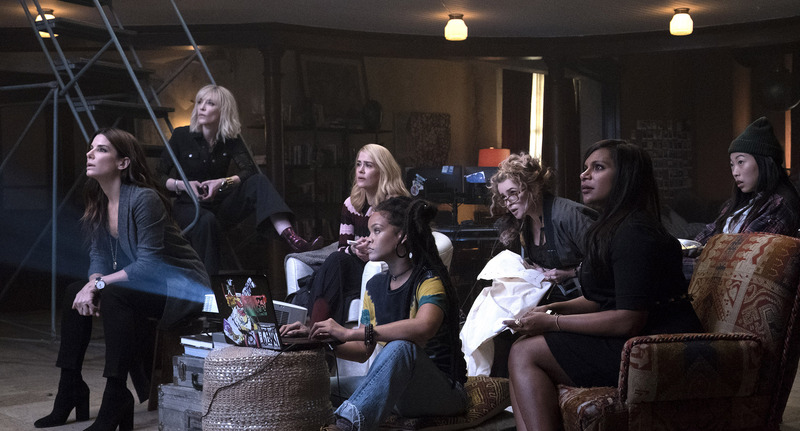 Aaron Neuwirth reviews Ocean's 8, the spin-off of the remake that brings a new criminal crew together for an elaborate heist. 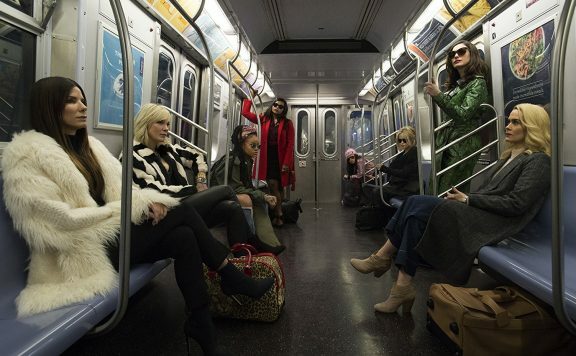 Call it a spin-off of a remake, riding on a gimmick if you’d like, but the best thing about Ocean’s 8 may be how unassuming it is. 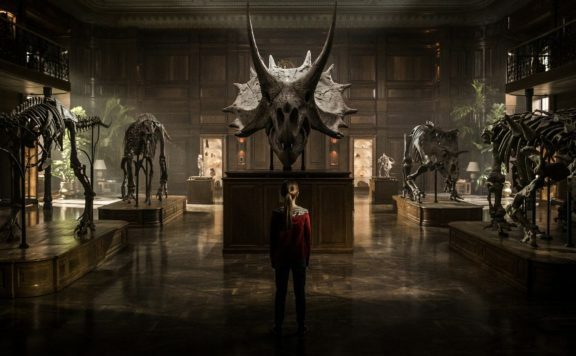 Yes, this is a heist film about stealing a particular item during New York’s annual Met Gala, which means the female-dominated cast will be outfitted in elaborate costumes, but the Gary Ross-directed film is not here to make an overt statement. Instead, here’s a film that has the cast it wants to have, because why not, and allows for a breezy caper comedy to unfold without too much ambition to stand in the way of such a straightforward affair. Not hurting at all is how consistently entertaining it is. Sandra Bullock stars as Debbie Ocean, a professional thief who has just been released from prison and has a desire to pull off a job that even her older brother Danny regarded as more than a little difficult. No matter, as Debbie knows just who to recruit. Cut to a series of introductions to various heist participants that include Cate Blanchett, Sarah Paulson, Helena Bonham Carter, Mindy Kaling, Rihanna, and Awkwafina. The goal involves getting close to a self-obsessed celebrity (Anne Hathaway, having a ball) and robbing her of a unique item she will be wearing at the gala. 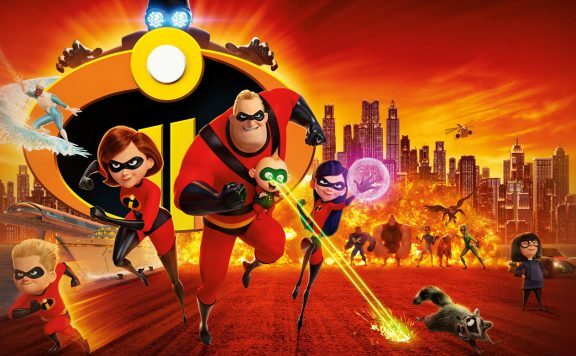 Something that goes mostly unacknowledged by many moviegoers in the midst of this popular phase for superhero films is the quality of their ensemble casts. Not the idea that good actors are headlining these films, but the way their chemistry provides a sound reasoning for audiences to want more of what they got. When Steven Soderbergh remade 1960’s Rat Pack heist flick Ocean’s 11, there may have been a lot of admiration for the cool plan to rob three casinos, but the two sequels were box office hits thanks to giving an opportunity to see that large group of characters continuing to coast on their charm. That latter aspect is what Ocean’s 8 mostly relies on to work. The actual heist takes up a nice chunk of the film, and its fun and exciting to watch go down, but it rarely misses a beat you would expect. Real joy comes from the banter exchanged between Bullock and Blanchett, as they put this whole thing together, or how Paulson casually balances her home life with the latest scheme thought up by her old friend. There’s something fresh about seeing this group of characters function as regular people regarding personality while exhibiting the kinds of skills needed for this sort of risky mission. That they all share a good sense of chemistry only highlights how the least risky thing was the very concept of this film to begin with. With Ross stepping in for Soderbergh, the real notable difference is the desire to experiment. Working as more of a traditionalist, Ross has no real tricks up his sleeves when it comes to the direction of this film. A few clever zooms or overhead shots may be on display at specific points, but nothing to challenge what an audience may be expecting. I suppose that puts this film much more in line with the first film, as opposed to the inside joke-laden sequels, but there was a lot I enjoyed about Soderbergh’s decision to mess around in Ocean’s 12 and 13, just because he could. The lack of a central villain also feels like a missed opportunity. Yes, Hathaway is a primary target, but an actual menace never really emerges to challenge our crew. Richard Armitage is on hand as an old flame of Debbie’s, and she is looking to exact some vengeance, but the character gets little to do to feel like a threat. I may not have worried about the safety of George Clooney at his coolest, but Ted Griffin’s script for Ocean’s 11 provided some wonderfully sharp lines of dialogue to be traded with a perfectly cast and reasonably sinister Andy Garcia. 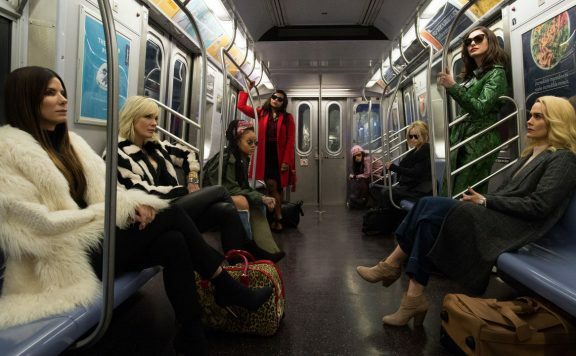 Still, for every element that doesn’t help Ocean’s 8 align to whatever standard the previous trilogy created, the film takes steps to be praised when it comes to celebrating what’s different. I enjoyed seeing the movie not conclude with the end of the heist and instead find time to address some natural next steps, followed by an epilogue. 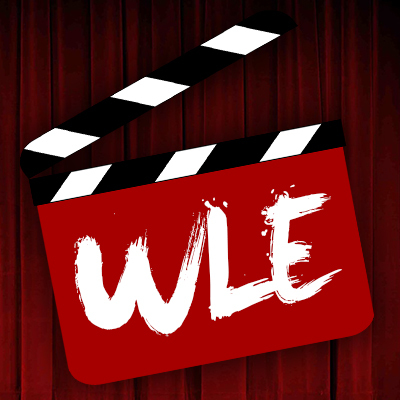 I was satisfied by whatever twists the film offered, along with certain cameos that that did and didn’t occur. It may have benefited the film more to confront its standard approach to the story in place, but Ocean’s 8 has a fitting way of coming together regardless. Again, it’s that cast chemistry and the film’s breeziness that ultimately makes it fit for summer entertainment. With production design and sets by Alex DiGerlando and Rena DeAngelo and costumes by Sara Edwards, this is a film that holds onto a sense of style. It’s one thing to see the very different energies of Carter and Hathaway or Awkwafina and Bullock somehow work together thanks to some witty lines and directed actions. It’s another to acknowledge the well-established areas they occupy or the ever-changing colorful suits worn by Blanchett. 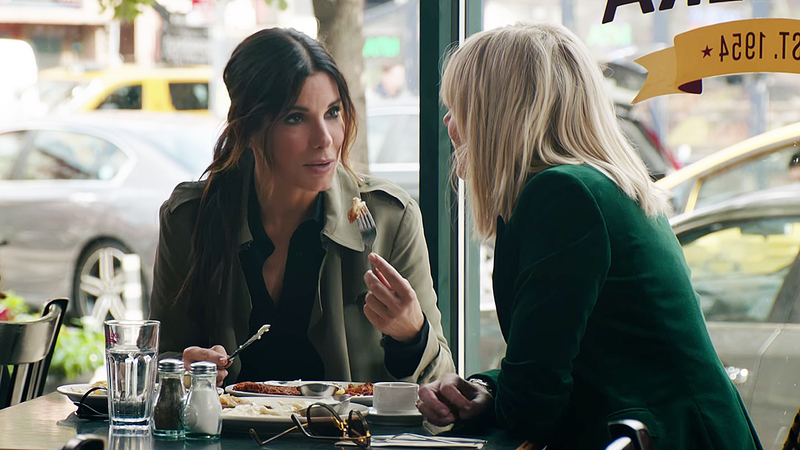 While Ocean’s 8 may not be treading much new ground beyond the very specific approach to casting, it has what it needs to work as an enjoyable feature. Even if my biggest gripe may be the lack of a new jazzy score from franchise staple Dave Holmes, Daniel Pemberton fits right in here, along with all the fresh faces looking to put a unique stamp on the Ocean’s franchise. 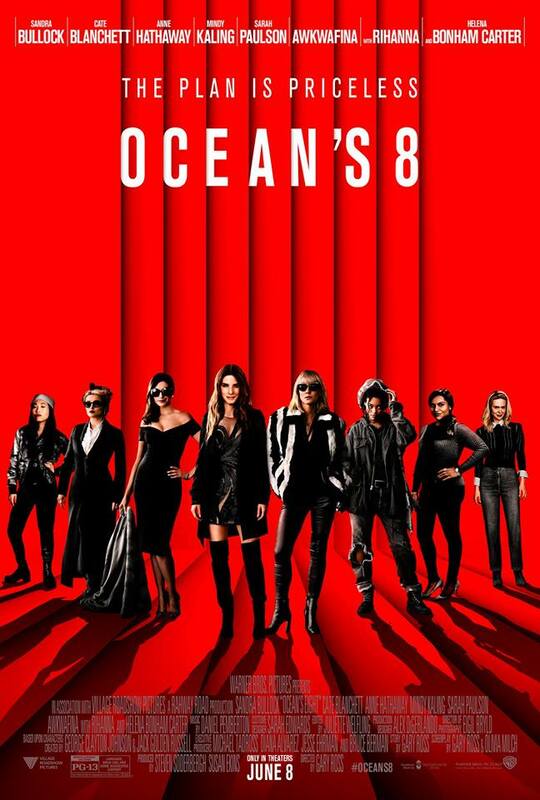 Whether or not this all leads to an Ocean’s 9 and 10, it stands to reason that plenty would be just fine seeing these leading ladies sharing the screen again for more fun displays of chemistry and elaborate robberies.